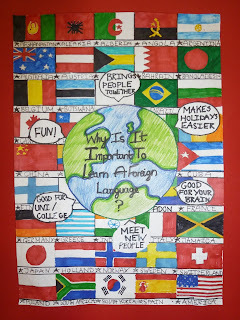 This year we celebrated European Day of languages across a few schools in our learning community: St. Benedict’s, St. Rose of Lima, St. Maria Goretti, St. Bridget’s and St. Paul’s Shettleston. 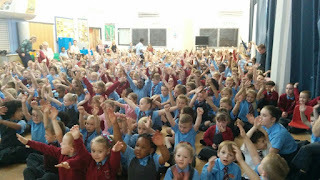 Each school had an assembly, in St. Maria Goretti some P6 and P7 children delivered it to the whole school. 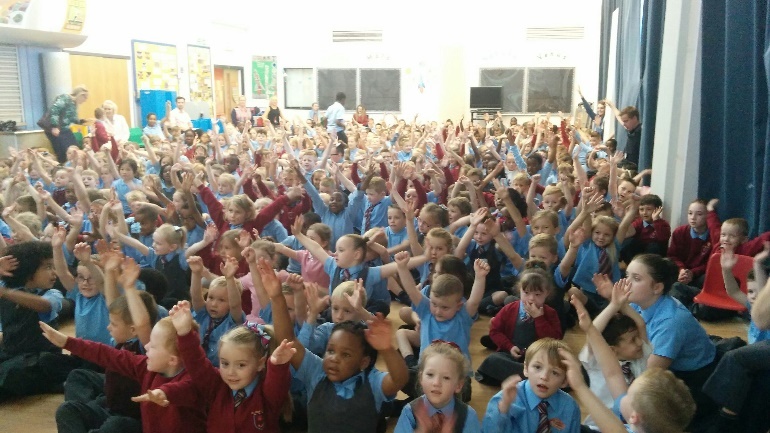 The schools sang some multicultural songs and learned how to say hello in many European Languages. Some schools followed a flag trail through the corridors. 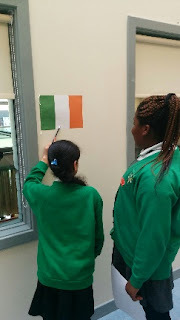 They were faced with naming flags and finding out their capital. In St. Rose of Lima and St. Bridget’s they used their atlas skills to help them name some flags. 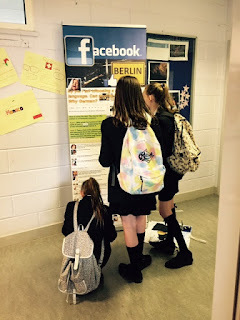 Meanwhile in St. Maria Goretti they had some European Passports to help. Some classes looked at food from around Europe and discussed where it might be from. 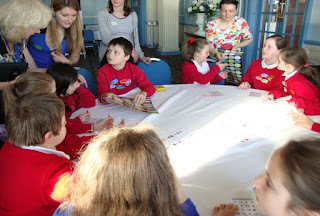 We also had lots of opportunities to give out stickers and wrist bands. We are looking forward to making the celebrations a little bit bigger next year. In St. Joseph's Primary School Milngavie, we celebrated EDL 2015 by organising a fun day for everyone to take part in! The P7s and their teacher Miss Gormley organised and ran the whole event. They started off with a short play to teach the rest of the school about the differences between Scottish schools and schools in France (since French is the language that all classes are learning). They finished the play with a short performance of Goldilocks and the 3 bears in French. 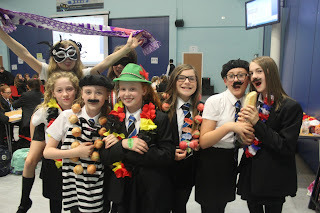 After the play, P7 set up all their stalls and activities and each class was timetabled to come and take part in as many activities as they wanted. 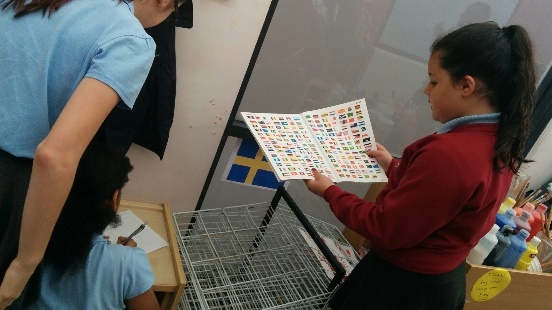 The activities were raising awareness of lots of different European languages as well as looking at the flags of European Countries. The winners of the games received a prize which SCILT provided, either a rubber bracelet or a snap bracelet. Runners up all received one of the stickers. The day was a huge success! "Did you know it was the European Day of Languages?" 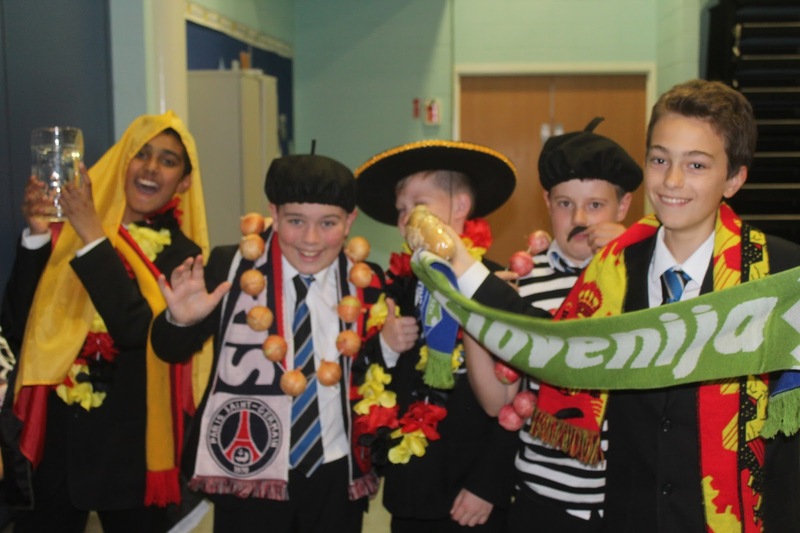 The pupils and teachers at Greenwood Academy in Irvine certainly promoted this celebration and enjoyed a variety of activities on Wednesday the 23rd of September to showcase the European Day of Languages. The day kicked off with the young people introducing themselves in a variety of languages ranging from Punjabi, Dutch, Cantonese to French and Spanish. 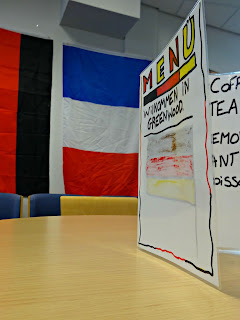 As a starter to their lessons they sang a selection of songs in different languages and at lunchtime enjoyed sampling the French, Italian and Spanish delicacies on offer at the canteen. The fun continued into the evening where parents were able to take advantage of the talents at Greenwood Academy with a great variety of workshops. 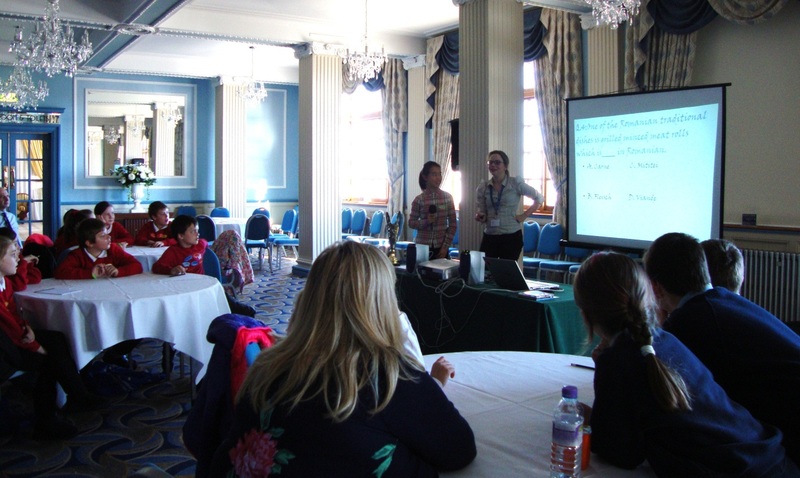 A representative from Scotland’s National Centre for Languages delivered a workshop around how languages are good for young people, their skills and their careers. 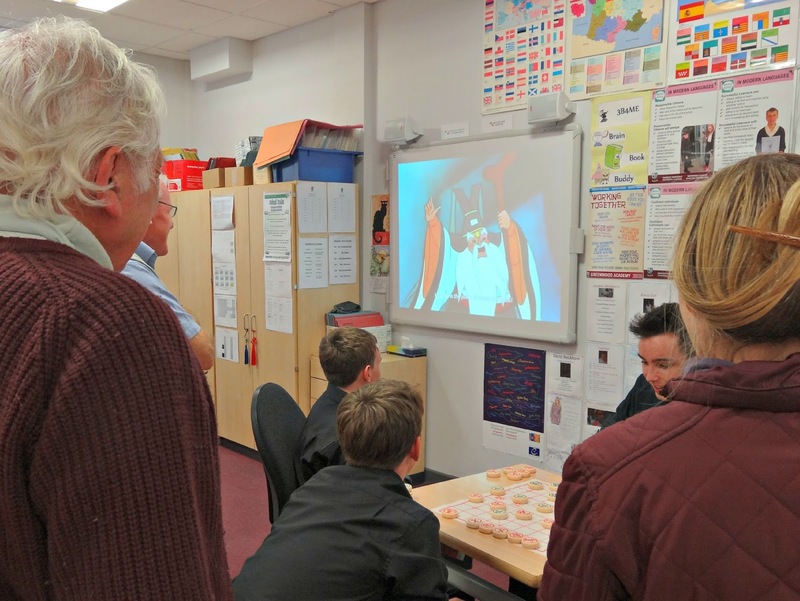 The Modern Languages department showcased their trips abroad, and the parents also enjoyed tasters in Spanish and German as well as being taught Chinese chess from the young people in the Mandarin club. 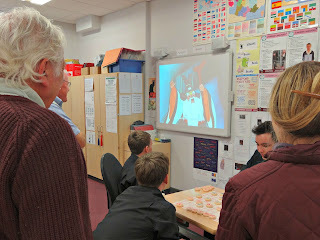 The evening went down a storm with parents with comments ranging from "I enjoyed hearing how Modern Languages help in the future" to "It was informative to see how the children learn". What a wonderful end to a European celebration! This year’s annual celebration of the European Day of Languages took place on Thursday 24th September. 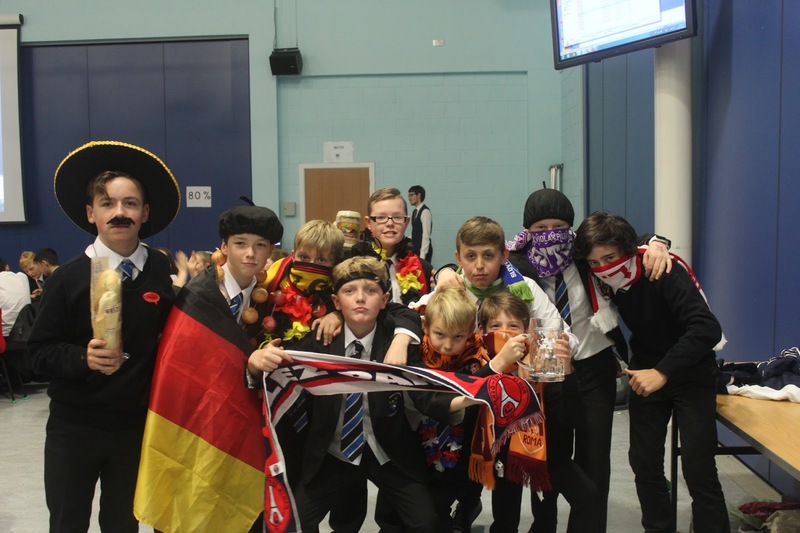 The whole school were encouraged to celebrate the diversity of culture and language we can experience right here at Douglas Academy and in our wider community. 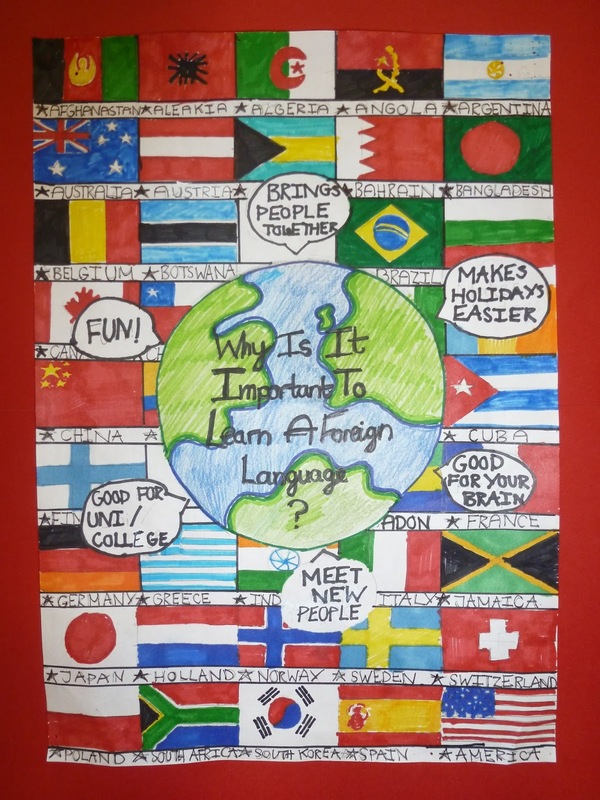 As usual we had some excellent posters handed in by our S1 pupils which showed why learning another language is a good thing to do. We had some very thoughtful and artistic entries this year so well done to all who took part. Senior pupils also took part in an essay writing competition on the same subject and there were prize winners from both S4 and S5. 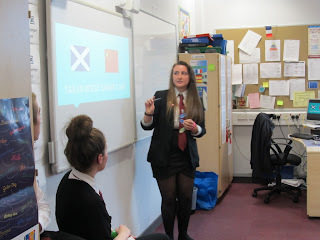 In Modern Languages that day every year group took part in activities and quizzes focussing on a variety of different languages from all around the world. Some classes read and listened to extracts from Harry Potter in various languages and other classes got to sing Old MacDonald in Latin. 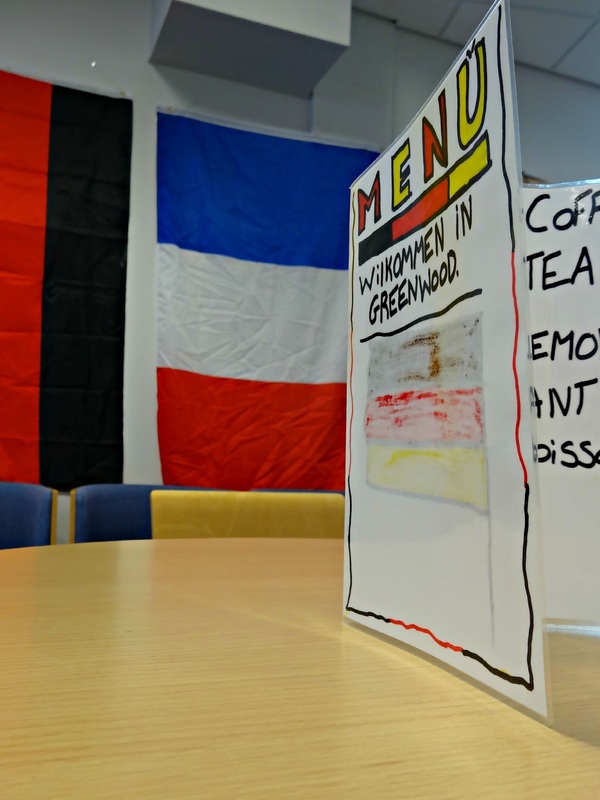 The canteen put on a great spread of European cuisine, including some very popular crêpes, and during lunch everyone in the social space was invited to take part in a quiz where they had to identify the correct language from some texts written in other languages by various staff members who are either bilingual or learning another language. Overall it was a lively and active celebration of different languages and cultures and during the day we had some great discussions, some good food and a bit of fun along the way. Europe Direct, based at Aberdeen City Central Library, organised a Euro Quiz for P6 pupils from Aberdeen City schools. Ruth Gould and Hazlehead Academy pupil Shuya Zuo collated questions testing pupils’ knowledge of European Food, Celebrities, Animals and Flags. Six schools - Bramble Brae, Dyce, Hazlehead, Seaton, St Peter’s and Westpark - gathered at Aberdeen Beach Ballroom on Friday 25th September. 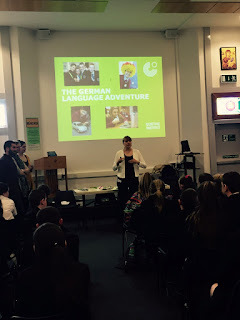 They were greeted by language students from Aberdeen University and the 2015 GET students. The morning started with games set in 4 stations: Italian “Bingo”, German “Hangman”, Spanish “Pin the Country” and French colours “Corners”. 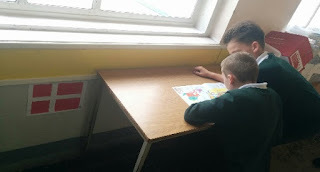 The language students monitored the games and pupils rotated to a new station at the blow of a whistle. After a break, the pupils sat in teams of four for the “Big Quiz”. 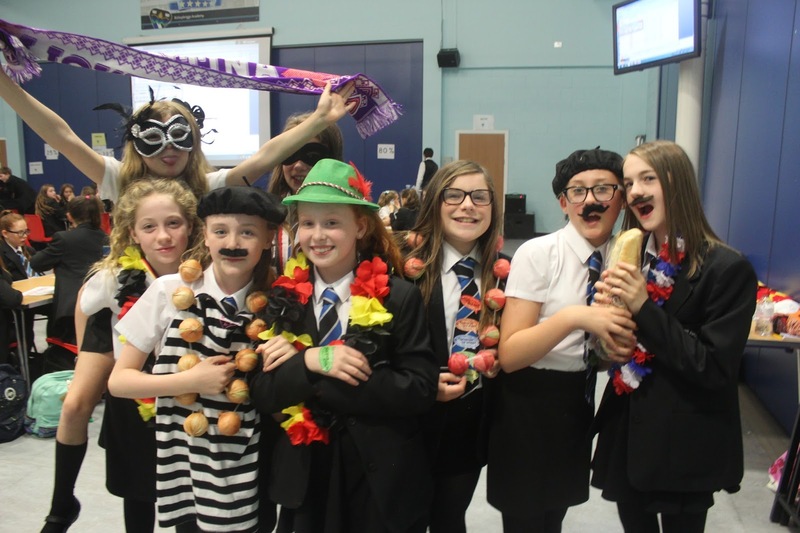 The Modern Languages Department at All Saints RC Secondary in Glasgow celebrated European Day of Languages with a four-day languages fest beginning on Monday 21st September with their French Day. 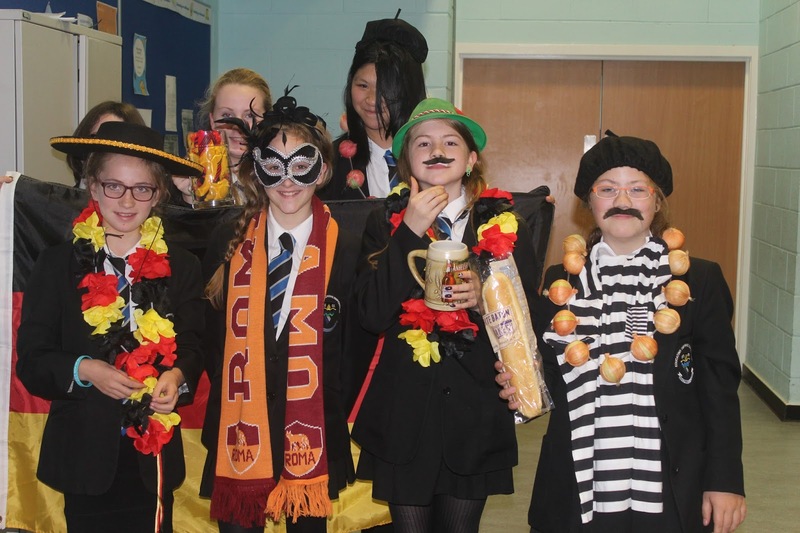 Pupils were met with teachers dressed in clothes to represent the language of the day and class events took place throughout the day. 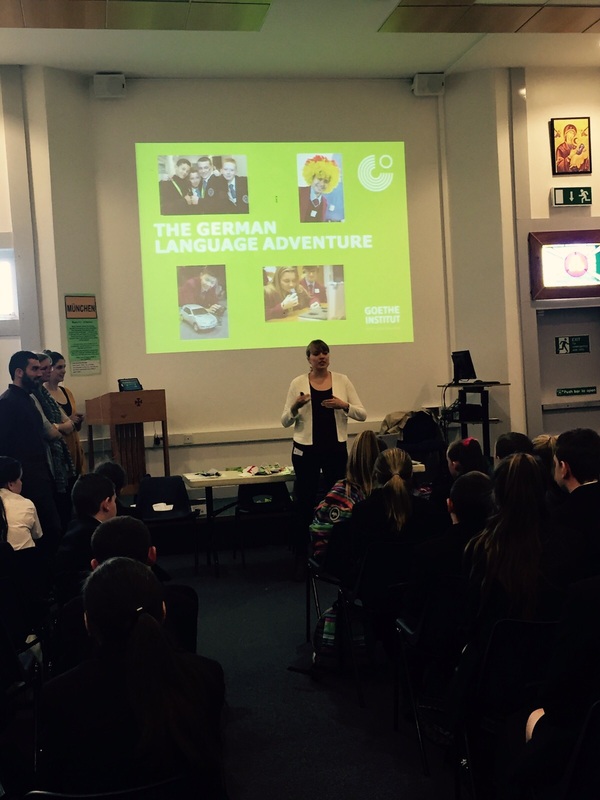 On Tuesday, it was our German Day with the Goethe-Institut team coming in to run their German Language Game for S1 pupils. Again, teachers dressed in the German colours and in particular the German football fanzine base went down a storm. Wednesday was our Spanish Day as well as our European Breakfast for school staff from 7.45am – 8.45am with donations going towards sending our S6 Euroscola students to Strasbourg this year. 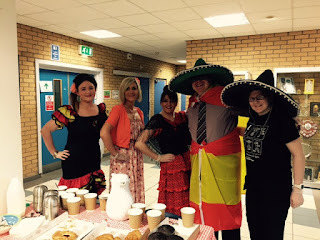 Staff could choose from croissants, pastries, tea and coffee to get their day started and again the modern languages staff were dressed to the nines to celebrate Spanish Day. 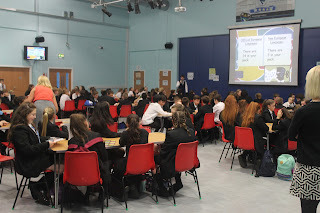 Finally on Thursday we celebrated our Italian Day with classroom events to promote all things Italian including a fantastic PowerPoint and talk by Niall one of the Strathclyde University Ambassadors. 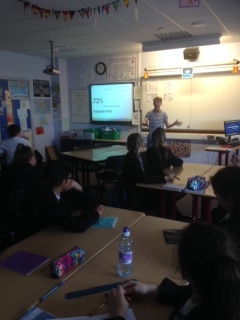 A big thanks has to go to Cédric at the University of Strathclyde for helping the department out with the University Language Ambassadors who came in every day to promote language learning to our pupils. 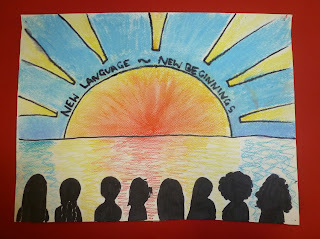 Each Ambassador spoke about their language experiences and where they are now on their language journey. We were fortunate to have Declan, Dorothea and Niall who all made their own impression on our pupils and students. How many sleeps until European Day of Languages 2016? 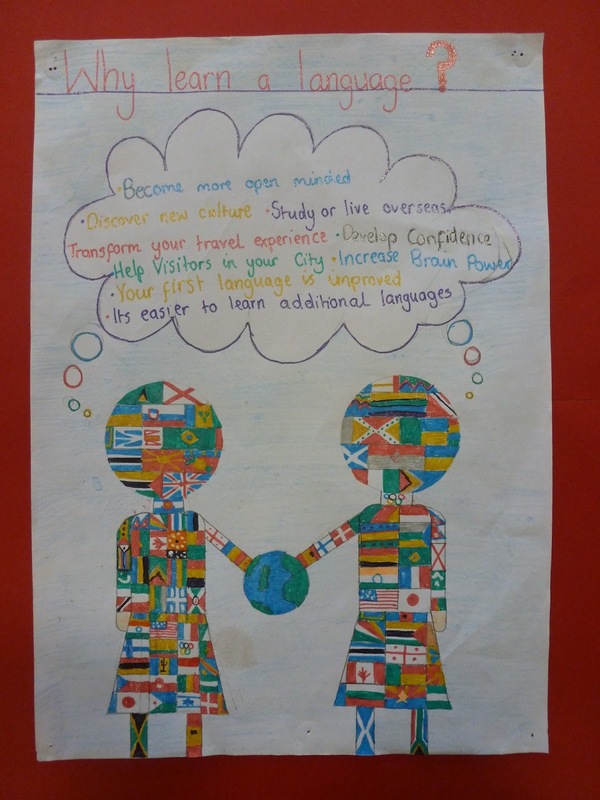 Bishopbriggs Academy hosted an event with S1 pupils in the assembly hall to promote the European Day of Languages. A sorting game where pupils worked in teams to sort 27 languages into 24 official European languages and 3 non European languages. What percentage of the world’s population speaks English? Which percentage is the number of European Union Citizens that can take part in a conversation in a language other than their own? What percentage of people in the Netherlands, Denmark or Sweden can hold a conversation in a language other than their own? What percentage of people in the UK, Ireland or Portugal can hold a conversation in a language other than their own? 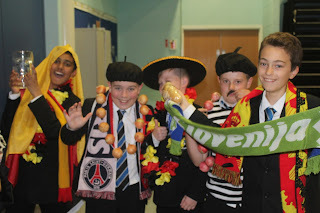 Tongue twisters - pupils tried to pronounce tongue twisters in English, French and Spanish through the microphone. 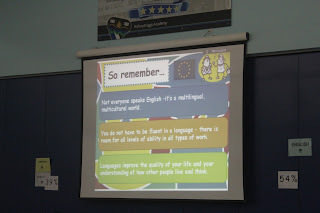 A music quiz where pupils listened to tracks and had to identify which language was being sung. A selfie booth allowing pupils to dress themselves in stereotypical European clothing.